We’re nearing the end of the financial year with 30 June right around the corner, which translates to stressful times for Australian businesses. Don’t fret, you can make the process slightly less stressful for your organisation by following these simple tips. Because of the high volume of documents required to lodge your business taxes, it is crucial that you get everything in order before you begin. Taking some extra time at the start to get organised can save you delays and headaches further down the track. Be sure that you have statements dealing with your pay-as-you-go (PAYG) withholdings, goods and service taxes, and any documentation of deductions you are claiming so that you can prepare your Business Activity Statement (BAS) to formally lodge your taxes. Getting this done early means you will not have to scramble at the last minute to put everything together. Keep in mind that the ATO has changed the way in which they accept payment summaries in 2016. Allow plenty of time to convert documents to the proper format so you can comply with the new requirements. The ATO has provided a guide to help explain the changes to make it easier for businesses to comply. Your business accountant can help you navigate your financial data to find the information you need to lodge your taxes. Be sure to have your accountant go over the books in detail to ensure that there are no errors in your financial reporting. Have them remedy any mistakes as quickly as possible so that you can move forward with lodging your taxes. Using good business accounting software (like MYOB Finance) can streamline this process, giving you easy access to detailed account statements, financial summaries, and trend analysis. The Exo Accountant’s Assistant module is also indispensable at tax time – you can follow pre-defined checklists for tax return processing, see the financial health of the business from a high level and easily identify any areas that are incomplete or need review. Ask your accountant to review your account balances to determine if you can qualify for any tax deductions, as explained in the sections to follow. If your accountant confirms that you have funds available in your business accounts, spending some money on your business now can save you in tax liability later. Paying your employees’ superannuation before tax day can result in a large deduction for your business. Be sure to make your payments well in advance to allow for processing time. Your business can also take a deduction for paying your bills in advance, like rent, utilities and subscription services. Keep in mind, though, that you may not be able to claim the deduction if the expense covers more than 12 months. The ATO also offers deductions regarding debts your business is owed. If you and your accountant have determined that a debt is unlikely to be repaid, you should write it off as a bad debt. Your accountant can help you determine which accounts are deductible for the current tax year. If you or any of your colleagues have taken personal loans from the business, try to pay them back before the end of the tax year to avoid a large increase in personal income taxes. At the very least, submit a minimum payment incorporating interest for the business. MYOB accounting software can aid your business in keeping track of debts paid and debts payable. Go through your inventory and determine if any of it is expired or obsolete, as you can write these off on your taxes. Also, if the current value of your inventory is lower than what you had at the beginning of the year, you can deduct this as a business loss. If your business needs to increase inventory or purchase new tools or equipment, presuming it fits in the budget, a portion of these expenses may be able to be deducted. The regulations on this change frequently, so be sure to consult with your accountant or check the ATO’s website before making any large purchases. The EXO Fixed Assets Module allows you to keep track of asset value and depreciation. 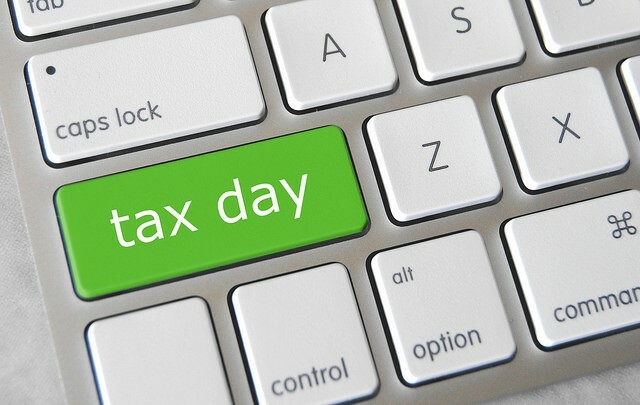 It is never too early to start planning for next year, and investing in good accounting and business management software will keep you on track for next year Get in touch with us today to learn more about our software solutions and how we can help your business breeze through tax time! You can also check out our MYOB EXO EOFY webinar below for some more great tips.